Here is a great new opportunity for our Kindergarten and First Grade girls (minimum age 5). Give your daughter the opportunity to make new friends in the neighborhood and have some fun! Space is limit! 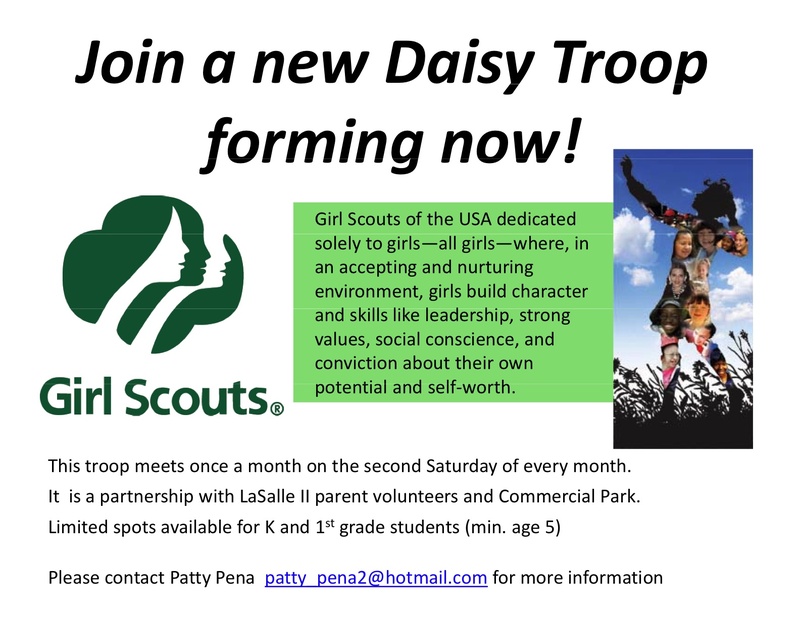 The Troop is also looking for parent volunteers so contact Patty Pena if you are interested in signing up or helping out.